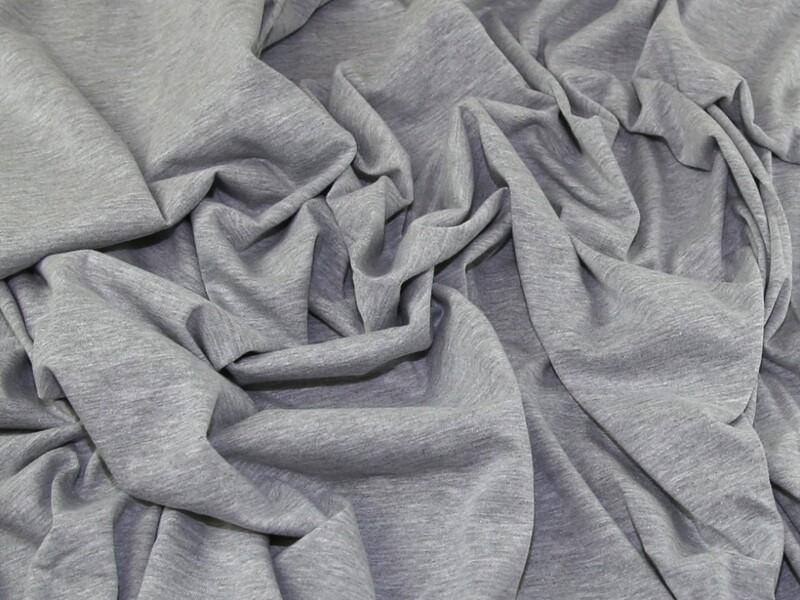 This beautiful quality plain jersey fabric is made from a blend of cotton and elastane fibres. It is a light to medium weight and has a good amount of stretch in all directions. Because is mainly cotton fibres, this is not a very drapey jersey, so ideal for beginners to sewing with knits. This fabric would be perfect for making into tops, t shirts, cardigans and summer dresses. As part of our clearance range we are able to bring this fabric to you at a much cheaper price than the RRP, but only whilst stocks last! Stretches in one direction well. Just a bit thicker and less sheer for a great t-shirt and very soft. BUT, do wash carefully first. I got some color transfer off the ROYAL BLUE and the WINE colours in the first wash.